You will design, implement and maintain our product deployments based on Kubernetes. You will be in charge of “healthy” software delivery processes and systems and stay in close touch with our software engineering teams. You will act as trusted technical advisor for our customers and play an active part in architecture and process improvements. You will be on an ongoing quest for sustainable solutions and technical excellence in your work. You have a computer science degree and 2+ years of experience as Operations Engineer or in a similar role with exposure to Enterprise JAVA applications. You have deep knowledge in network technologies such as Load Balancers/Firewalls, REST APIs and related security mechanisms. You have worked with deployment and orchestration technologies (e.g. Docker/ Kubernetes/Ansible) before and have experience in using and implementing build and deployment tools such as Jenkins. You continuously explore new technical trends and enjoy pushing things forward. You rise with diverse and complex tasks without losing track of project goals. We are a fast-growing startup shaping tomorrow’s banking market with its innovative technology. We quickly established ourselves as the leading provider for banks APIs and offer the basis for Open Banking, BaaS and networks between banks and FinTechs. We are backed by experienced founders and German and international investors. We are looking for extraordinary team members and outstanding talents to join us on a fun and fast growth ride. 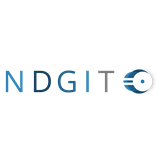 Want to get notified about new jobs at NDGIT GmbH?